Selling a house without Realtor in Tucson? Today, I got off the phone with a typical homeowner here in Tucson! She was calling me because she had a property that she was looking to sell quickly without listing it with a traditional agent. I say typical because it happens all the time! People see a “We Buy Houses Tucson” sign on a website or a bandit sign on the road, and they usually have tons of questions but are afraid to ask. As an Investing Realtor® I’ve seen both the good, as well as the bad of what’s available in the market today! 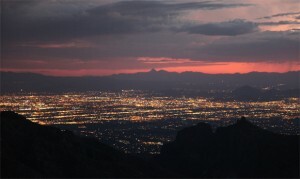 From my website at KarlBuysHouses; I’ve had countless Tucsonan’s contact me about the properties that they have to sell. Some quickly, others not. One thing they have in common is they want to sell their home without a Realtor®, or at least explore the possibility of selling it directly to an Investing Realtor® like me. One of the first questions people have about the process of selling a house without a Realtor is generally the practical part. Almost everyone knows where to get a yard sign, and placing a craigslist ad is perhaps the easiest part. For the more adventurous, even listing on the MLS with a flat fee Realtor® can even be an option. However, once the marketing has begun, that is only half the battle! In the real “Need to Know” category, you need to be aware of just a few things! Be sure you use a State Approved, or Attorney reviewed contract that you obtain from your local Title company. Ensure that you limit the time that the purchaser can inspect the property. Ten days inspection time is generally enough! If you are selling a house without Realtor in Tucson then you are in luck! It’s not like it’s not been done before. One of the most beneficial things you can do when selling your home is to contact an investing agent like me direct at 520-955-5222. One of the first things you get from an Investing Broker like me is a complete Market Analysis to help you determine the true value of your home. This will stop you from having to worry about being “lowballed” because you don’t know the value. An objective evaluation from an all cash, investing agent is helpful because you can see from the Multiple Listing Service what your competition is selling, and not selling for! Negotiate your own best deal with me by clicking here! I pay all cash, can close quickly and take it as is. Call me today and avoid the hassles of listing your house and just simply sell your house here in Tucson FAST to an Investing Realtor®!